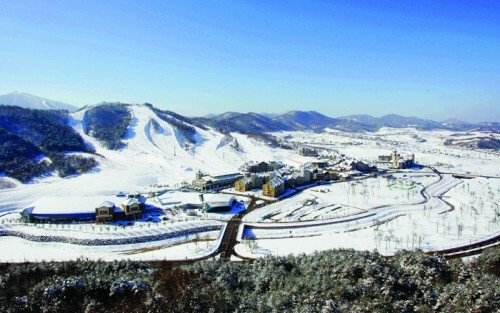 If you haven’t heard by now, Pyeongchang, the mountainous South Korean town located in Gangwon Province, 112 miles outside of Seoul, has won the bid to host the 2018 Winter Olympics. Helping secure the win was the $1.4 billion dollar, 1,240-acre Alpensia Resort, which was completed in 2009. It will become home to the Olympic Village, several competitions and the opening and closing ceremonies. 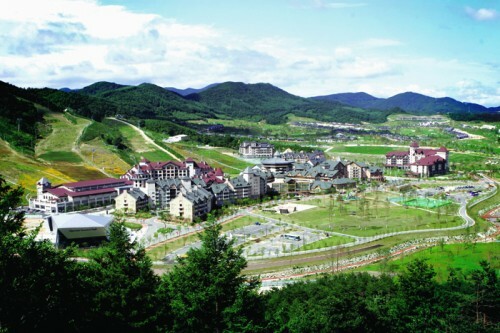 Nicknamed “Alps in Asia”, the alpine-style village was designed as an all-season, year-round destination with the help of Cuningham Group Architecture, whose LA office oversaw the design and master planning. 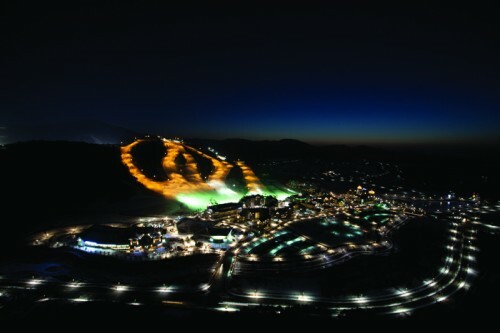 While not exclusively built for the Winter Games, Alpensia boasts Olympic-grade facilities, including, ski jumping, biathlon, and cross-country skiing venues. Other amenities include five-star hotels, private residences, golf courses, a water park, and convention and concert centers. “From the start, Alpensia was conceived as an international resort and recreation destination,” said Cuningham Group Principal Jim Scheidel AIA, LEED AP, who supervised the design. At the heart of the village is a retail and entertainment pedestrian promenade. Adjacent to it is a factory outlet shopping street, one of the first of its kind in Korea. For Olympic-bound travelers, a new high-speed rail link from Seoul’s international airport to Pyeonchang is scheduled to open ahead of the Games and will zip visitors to the slopes in about an hour.